It’s Friday, so it’s Foodie Fun time. Since we’re doing the most read posts this week, here is the most read food post along with the business point it inspired. 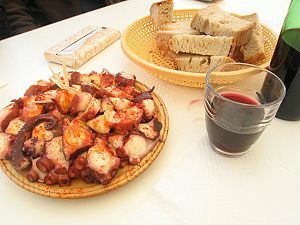 It was called “Pulpo a la Plancha” after the dish that inspired it. Enjoy, and have a great New Year! To end the week, it’s pulpo. For those of you who don’t speak Spanish, that’s octopus. I have had pulpo on my mind since dinner last night and since it’s Foodie Friday I thought I’d share some of what I’ve been thinking about. 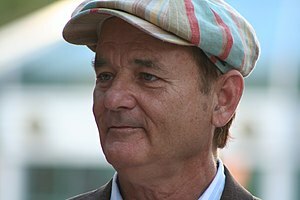 Here is today’s recap of the year’s most-read posts on the blog and it’s another one featuring a Bill Murray moment. Unlike yesterday’s, which happened in real life, this one occurred in reel life – “Stripes,” to be specific, and was called “Your Big Toe.” Enjoy. An army without leaders is like a foot without a big toe. And Sergeant Hulka isn’t always gonna be here to be that big toe for us. I think that we owe a big round of applause to our newest, bestest buddy, and big toe… Sergeant Hulka. OK, it’s really the tail end of a speech and you’ve all probably seen Stripes enough times to recite it yourself, but for some reason it popped into my head and I wanted to pop it into yours. We’d all fall over without them, and I don’t mean the ones on our feet. I mean the folks who provide the stability in our lives. The subordinates who make us look good, the friends who pick us up when we’re down, the loved ones who hug us until we feel better. Heck, as long as we’re appreciating appendages, let’s send some love to the bosses that recognize we have lives beyond work, dreams that work make possible, and treat us like humans, not employees. So today’s brief note is nothing profound, just a thank you to all the big toes in my life and some encouragement to you to do the same to yours. This post was written after the one of the many recent updates done by Facebook. It was called “Failbook” and I was not happy about what they’d done. I’m not any happier now with the timeline, the news stream on the right, etc. Are you? Anyway, read on for a rant and a business lesson. Since this is a slow week for most of us, I’m going to use it to review the most-read posts of 2011. I’m going to start with a post that actually was written in 2010 but through the long-tail seems to have been read a lot over the past year as well. The inspiration was a piece on Milli Vanilli, the infamous muscial duo, and it deals with being authentic. In reading the piece again, I’m struck by how little things have changed since I’ve written it. But you tell me. This is a time of the year when there is a lot of focus on what we don’t have. How else does one make a wish list without thinking about what we’d like but don’t own? Wishful thinking is a good thing as long as it’s grounded in reality. I mean, your kid may want you to buy them a functioning light saber along with a robot opponent with which to joust, but light sabers don’t exist, at least not of the sort that the kid might see in the Star Wars movie. May the force be with you as you explain that.